Style Weekend of Manila Bulletin partnered with PMAP for not one but two of their covers. 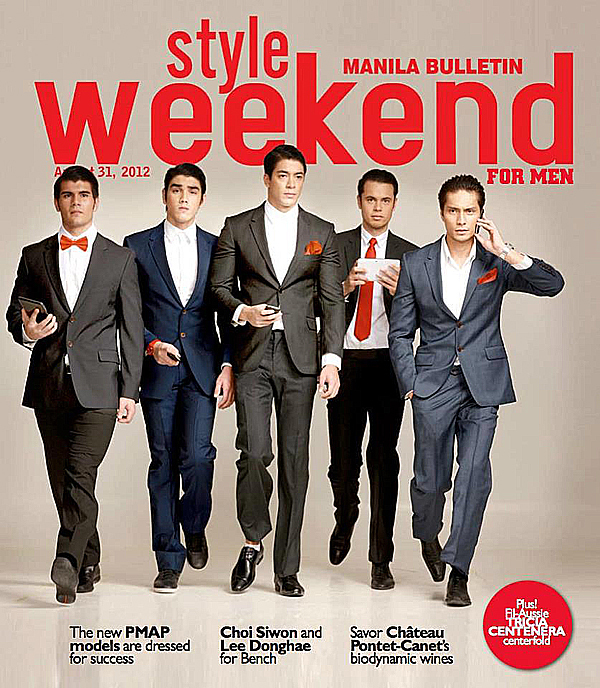 The first cover came out in August 2012 and featured the new breed of PMAP men. In order of appearance, they are Paul Drake, Francis Boyce, Sam Ajdani, Emel Rowe and Patrick Patawaran. For the next cover, Style Weekend put the senior female models of PMAP on the cover which came out last November 2012, namely, Angel Agustin, Phoemela Baranda, Dindi De Leon, Ana Sideco, Ornusa Cadness and Sanya Smith. Thanks to Manila Bulletin and to the team of Style Weekend for making it all possible.